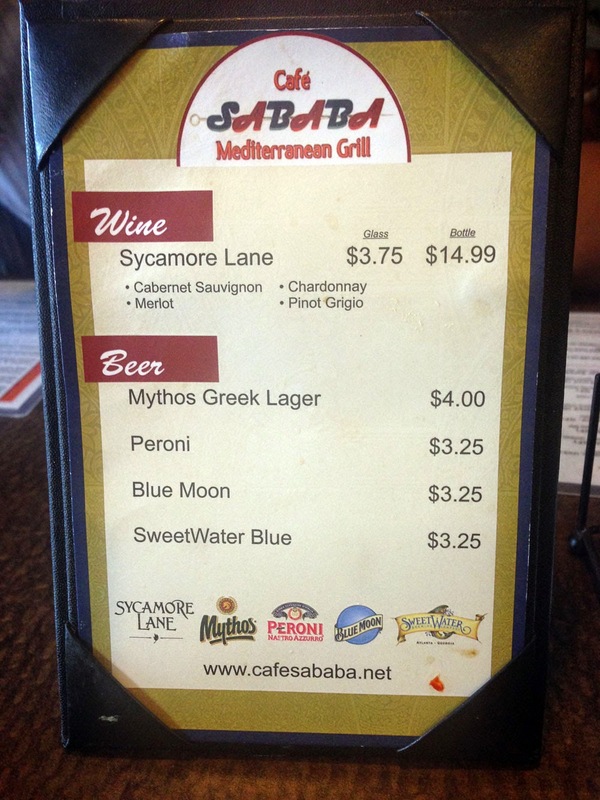 Cafe Sababa Mediterranean Grill is located on 4639-D N Shallowford Rd, Dunwoody, GA 30338- it's about in the middle of a shopping center on the Eastern side of N Shallowford Rd (to the right if you're traveling North) that also contains Bay Leaf and Indian Bazaar grocery. 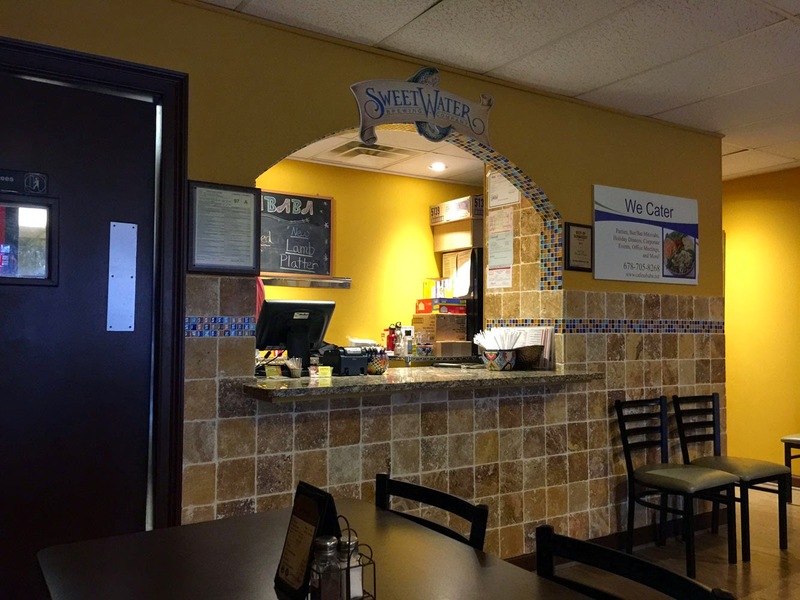 This is a neighborhood eatery that features near-Kosher Mediterranean foods with fresh flavors, good portions and reasonable prices. 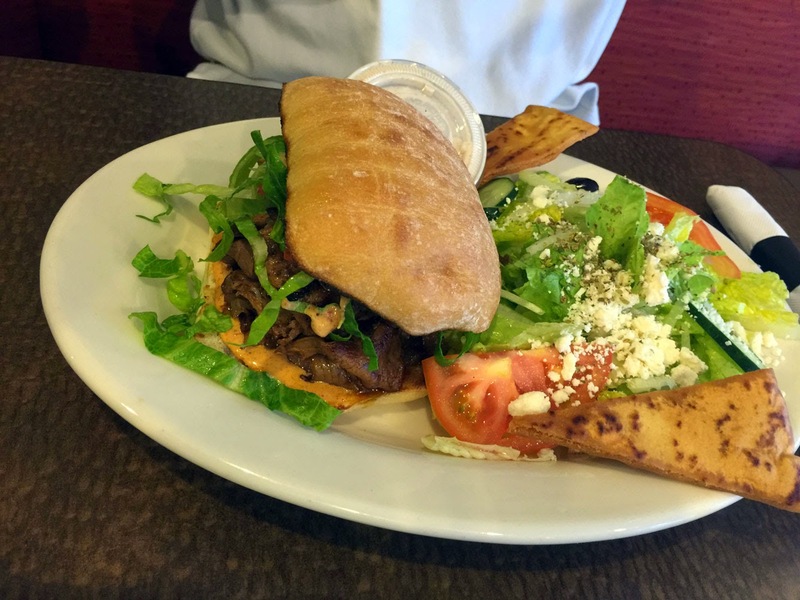 I call it near-Kosher as the owner, Doni Tamli previously owned Cafe Ofi at the MJCCA in Dunwoody. From what I've seen the food and ingredients would be Kosher but not labeled as such publicly, indicating the use of some but not all Kosher ingredients, but be assured that the quality is quite superb. 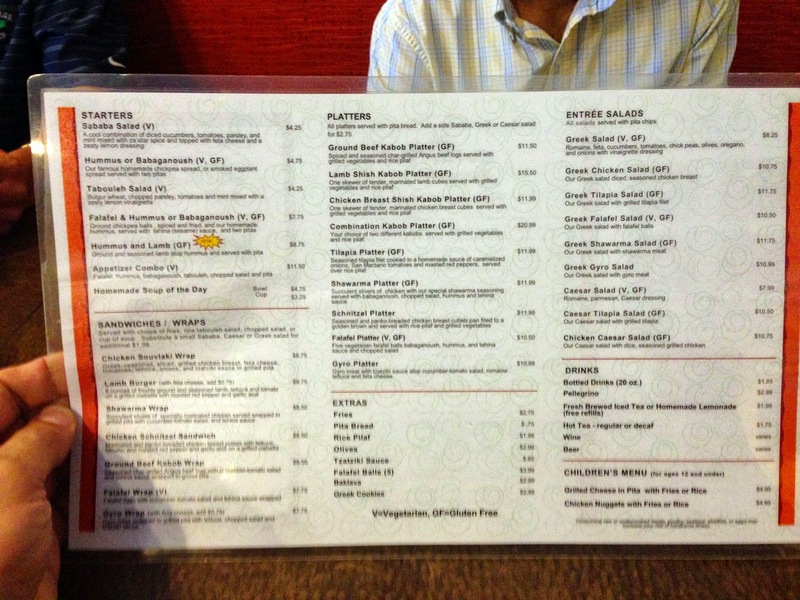 The menu is also plainly marked vegan (V) and/or gluten free (GF) for those of you who care (obviously not me!). I've been a bit hesitant writing about Sababa - I've been coming here for many years and it's become one of my favorites for lunch - call me selfish but I did not want to spoil my great experiences there by bringing too much attention to the place, however over the years word has gotten out. 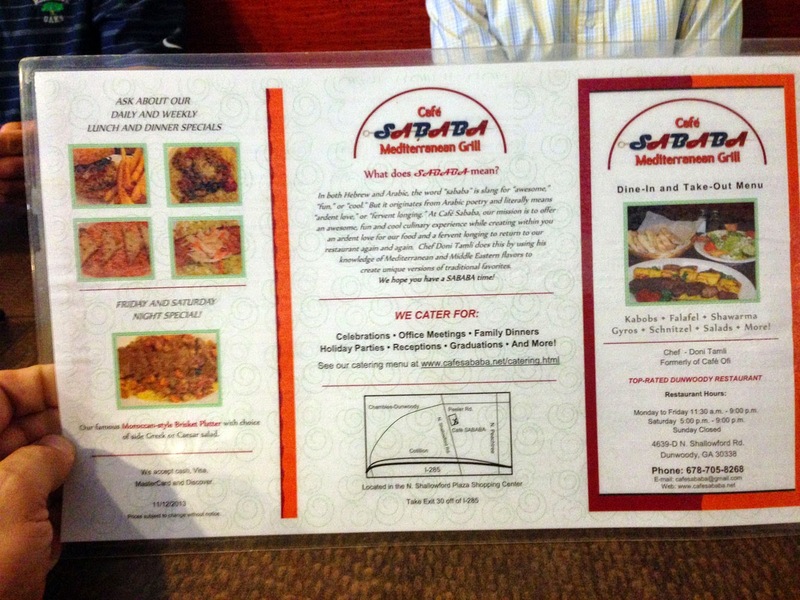 The restaurant is family owned and run with a small staff and limited seating (they do quite a bit of take out). The simple dining room has padded benches along the walls and a few tables to either side of the path from the door to the counter. You can sit and and eat inside or at the tables outside under the awning that stretches across the shopping center. Parking is a bit limited, especially during lunch so I try to go early, around 11:30 AM or so to ensure a spot both in the lot and in the restaurant. 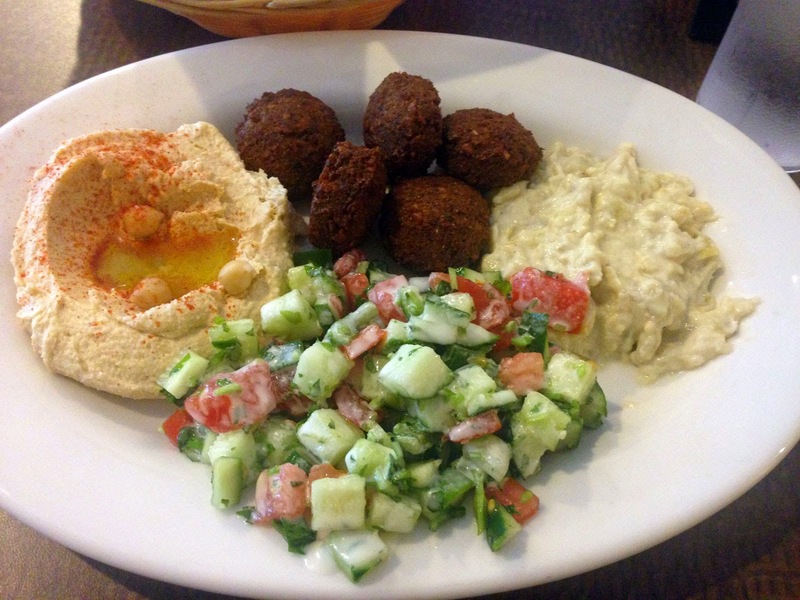 Appetizer Combo - with falafel, hummus, babaganoush, tabouleh, chopped salad and pita, there's plenty to go around. You'll find the tabouleh very fresh and the falafel very well prepared, with a fresh-parsley flavor that is quite good. Falafel platter - this well-organized platter is similar to the Appetizer Combo above - actually if you're hungry I'd recommend the combo over the platter since you git a bit more for a dollar more. My vegan friends like this quite a bit and I'm very fond of it myself. Shawarma Platter - seasoned chicken "strips" with babaganoush, shopped salad, hummus and tehina - this is one of my "go to" dishes. Schnitzel Platter - breaded chicken breast cutlet, pan fried served with rice and grilled veggies. I've only had this once and honestly, there are better things on the menu. I'm sure fans of fried food will like it, but it seemed a bit dry and uninspired to me. 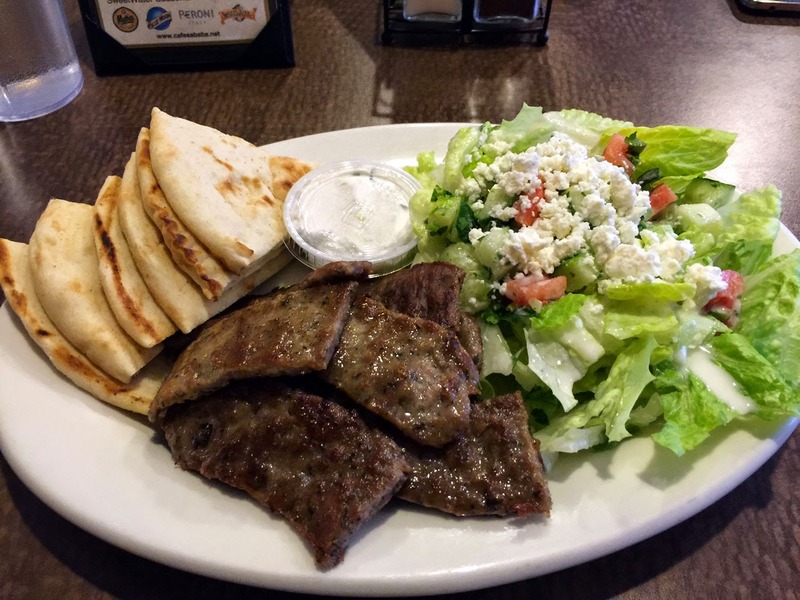 Gyro Platter - I have this quite often and if asked they will admit that the gyro meat comes pre-packaged. No rotisserie of succulent meat spinning in the background at this restaurant, so you're not getting that full-Greek effect. However the quality of the meat is quite good and the supporting ingredients - cucumber-tomato salad, and the side romaine salad are both also very good. 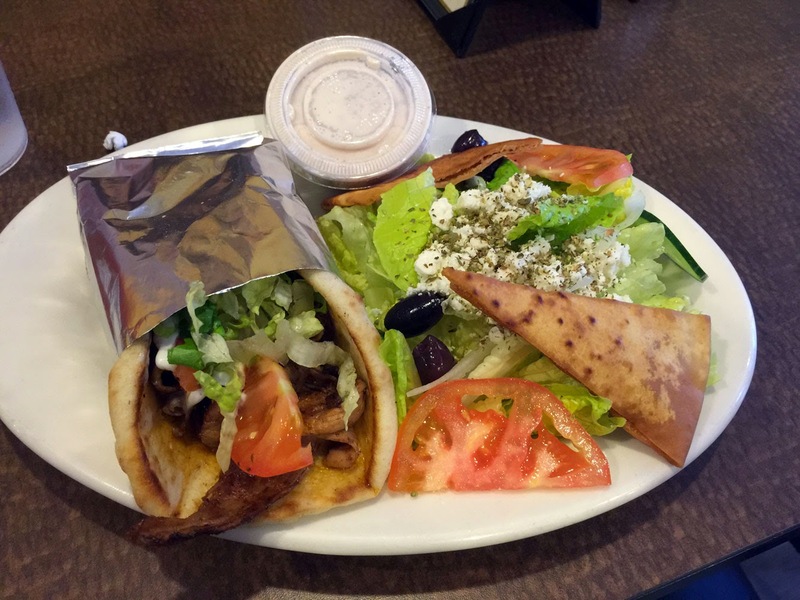 The Platter comes with quartered pita but you can ask for whole if you want to assemble a wrap. The tzatziki sauce is thicker than what I'm used to but I still like it quite a bit - I believe they make then pre-package to refrigerate to keep it fresh. 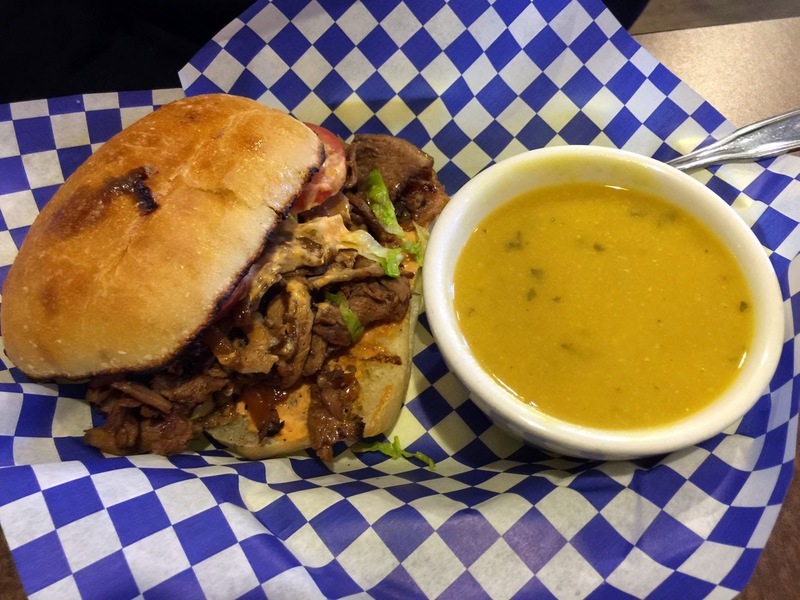 It's certainly not the heavy-mayo sauce found at other gyro restaurants. Gyro Wrap - similar to the above except with one side and served in the wrap. Lamb Burger - this is my recommendation if you're "iffy" about Mediterranean food in general - I can't remember anyone to whom I've recommended this succulent sandwich to who hasn't raved about it. Served on ciabatta bread with choice of side. I especially like this for take-out. 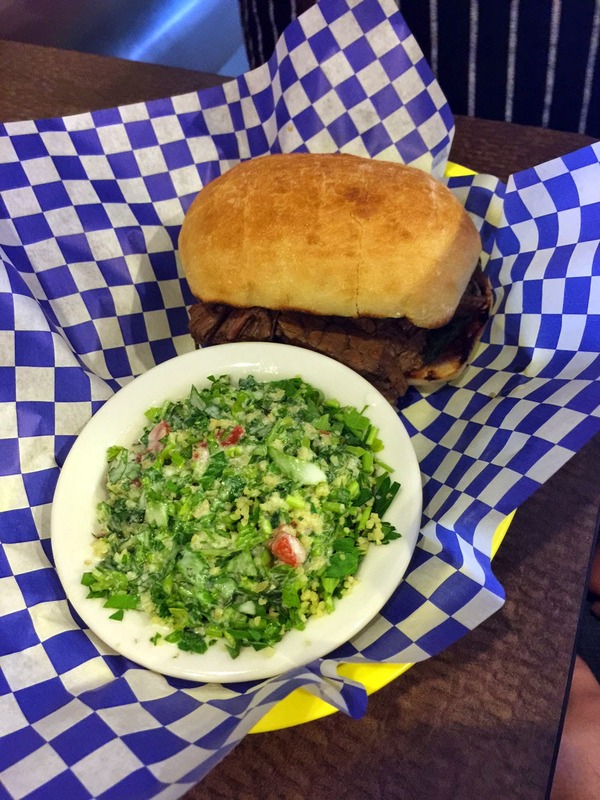 Roasted Leg of Lamb sandwich - as good as the lamb burger is, if they have the roasted leg of lamb as a special, go for this instead. It's unusually flavorful and quite inspired. Service is quite good and usually handled by Doni's son (it's been fun watching him grow up a bit over the years). For drinks there are a few house-wines (and if you check in you'll usually receive a "free glass of wine" offer. Beers include Mythos Greek Lagar, Peroni, Blue Moon and Sweetwater Blue (not that I'm drinking during lunch). Cafe Sababa also does a fantastic job catering - we've had them supply food for several events at work and the food is always fresh, well proportioned and delivered on time.